Learn Lean StartUp at work. You can read about aerodynamics, like you can read the Lean Start-Up books, but just as this won’t teach you how to fly, you wont learn how to live Lean. 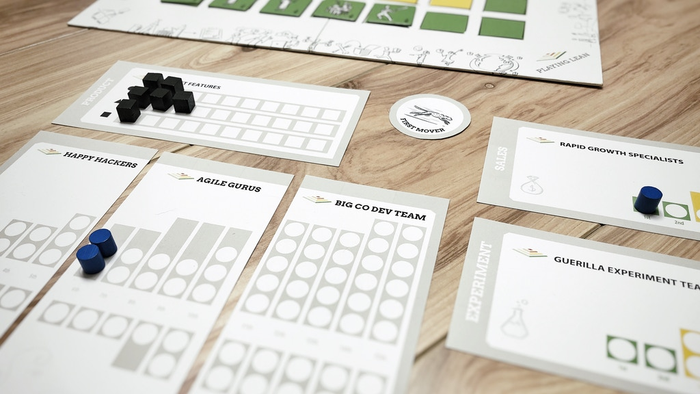 The Playing Lean board game is a “flight simulator” for innovation and Lean Startup, It is the result of a partnership up with Alexander Osterwalder and uses the Value Proposition Canvas – a great tool for understanding the needs of your customers and designing the products and services they want. The concept and ideas of Value Proposition Design underlie the game. Run a 2 hour session teaching Lean in your business. The actual game takes only 90 minutes to play. Chat to us about running a workshop with your team..